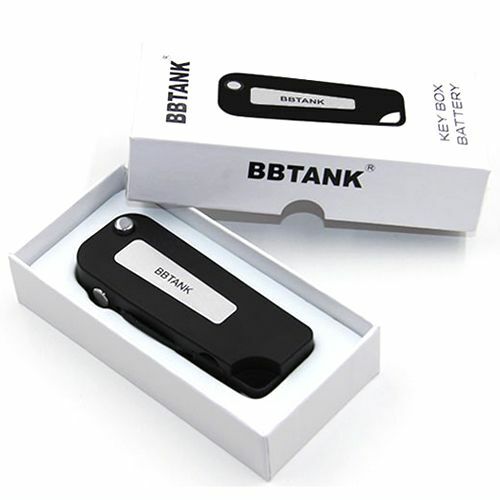 BBTank VV Key Box Battery is a new and improved version of the innovative cartridge battery device that is disguised as a high end car key fob. This improved version of the BBTank Key Box Battery features variable output control that grants you full control over the quality of your vapor output. It is equipped with three adjustable voltage levels that can be set using the button found on the side of the device. First you will need to unlock the BBTank by quickly pressing that button 5 times within 2 seconds, a successful lock/unlock is indicated by the button flashing red 5 times. Once unlocked you can then rapidly press that same button 3 more times to toggle through the three preset voltage levels (Green 2.7V, Blue 3.1V, Yellow 3.6V). After you have found your ideal output level, connect a compatible 510 threaded cartridge, hold the side power button and enjoy up to 15 second sessions at a time. After you are finished up with a session press the front facing button and flip your connected cartridge into the BBTank's housing, replacing where the key would sit on an actual car key box. 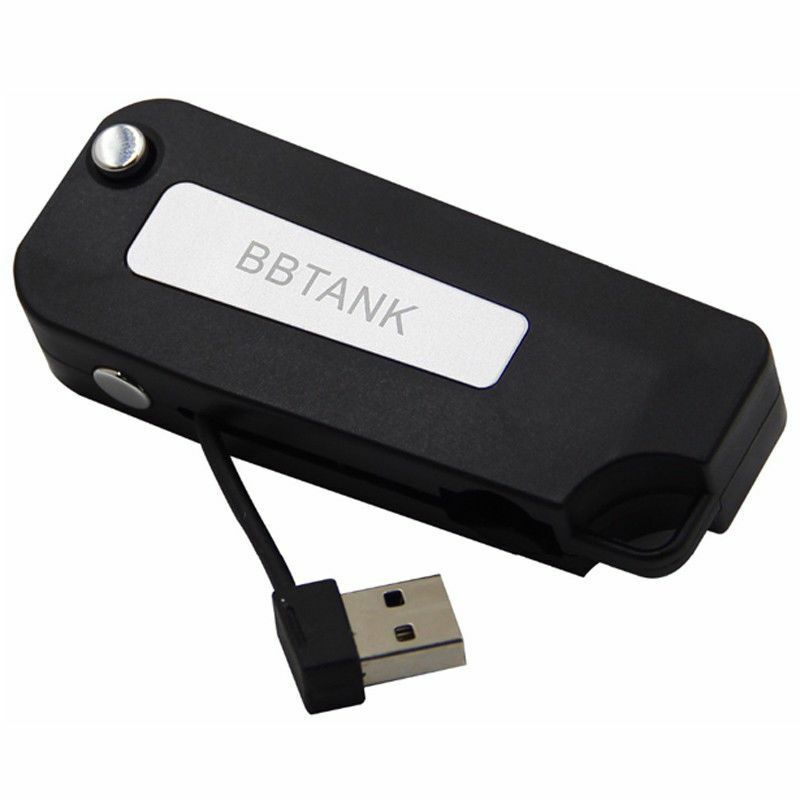 Unlike many other similar devices, the BBTank VV Key Box Battery features a built-in USB charging cable that remains with you as long as you have your device on you. Prior to your first use it is recommended you allow the BBTank's 350mAH battery come to a full charge to condition it for an overall longer lifespan. 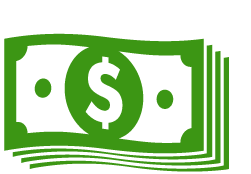 Connect to a compatible USB device and when charging has begun the LED will shine red, after around 4 hours it will switch to green to indicate a full charge. 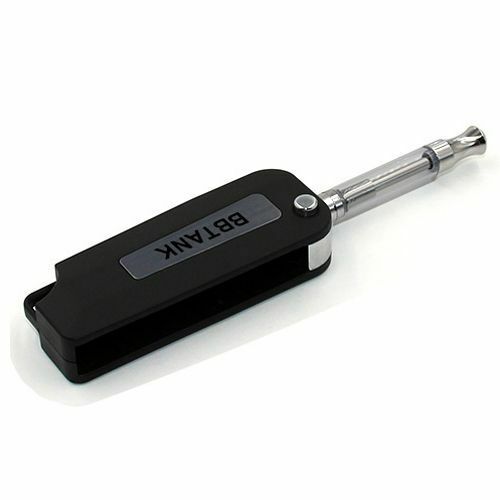 Pick up the BBTank VV Key Box Battery today and keep your favorite essential oils/ waxy concentrates connected to your keys at all times for stealthy use on the go. Please note this item includes the BBTank Battery only, any cartridges/atomizers must be purchased separately.